Tae Kwon Do, the art of kicking and punching, or “the right way of using all parts of the body to stop fights and help build a more peaceful world”, stems from a tradition of Korean martial arts dating back over 2,000 years. Students of Tae Kwon Do undergo a rigorous physical journey on their way to becoming a black belt. They also make a conscious lifestyle decision to follow the path of honor and acquire a higher mental acuity. The skills gained from Tae Kwon Do are such that students learn to face life’s problems and persevere until a solution is found. 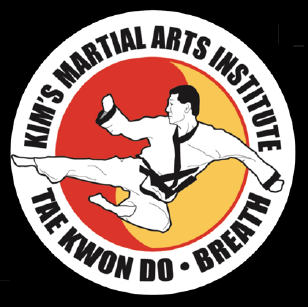 Kim Martial Arts teaches the World Tae Kwon Do Federation style. Wherever you travel in the world, you can continue your training at other WTF facilities and feel at home.